Located in Bidiyah, Safari Desert Camp is a perfect starting point from which to explore A'Sharqiyah Sands (Wahiba). Both business travelers and tourists can enjoy the hotel's facilities and services. Take advantage of the hotel's daily housekeeping, shuttle service, breakfast buffet, car park free of charge. Each guestroom is elegantly furnished and equipped with handy amenities. The hotel offers various recreational opportunities. 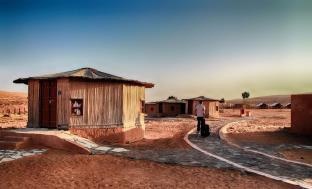 Discover all A'Sharqiyah Sands (Wahiba) has to offer by making Safari Desert Camp your base.